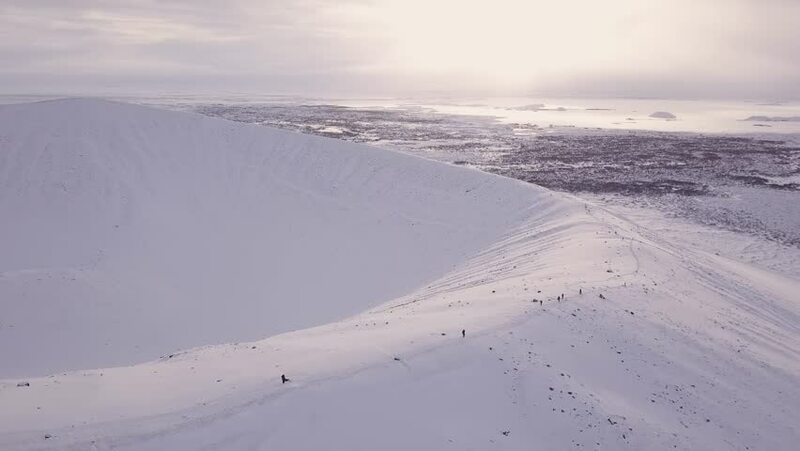 Drone footage from the volcano crater Hverfjall in Iceland during a winter sunset. hd00:12Foggy weather covers an empty calm beach as waves crash on the shore. sd00:20A low-flying aerial shot of a California beach near the Santa Maria Valley.